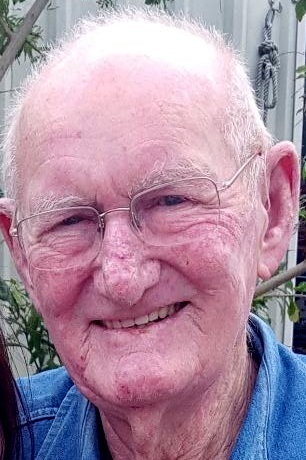 Beloved husband, father, grandfather and great-grandfather, Bobby Joe Lakey, age 80, passed away Friday, August 10, 2018 in Houston, Texas. He is now reunited in his heavenly home with his parents Von and Trudy Lakey, his sons, Bobby Joe, Jr. and Vaughn, his sisters Hattie, Barbara and his brother Duie. Bobby is survived by his loving wife of 61 years, Georgia, daughters, Mylinda LaBeth and husband Jerry and Cindy Lasey and husband Chris, grandchildren, Kim LaBeth, Latricia Mabry and husband Billy, Troy Pippin and Jeff VanHorn and wife Nicole, Jamie VanHorn and wife Alexxa, Brandon Lakey and wife Katelyn, Lance Lakey and wife Holly, Summer Hughes and husband Charles, Brittney Lasley, Christian Hughes, Makayla Lasley and Landon Lasley, great-grandchildren, Mattye, Reece, Dyllan, Angelins, Allie, Natalie, Serena, Hunter, Elaina, Vaughn, Hallie, Ellie Mae and Ava Ruth and his sister Jeanette Woods and husband Bobby. Bobby and Georgia are the owners of Flowers Etc. By Georgia in Houston, Texas. Bobby was an avid hunter who loved hunting more than life. Everyone loved hearing his stories of hunting trips over and over. He loved planning hunting trips with friends and family. He had promised to take his granddaughters hunting this year, but left us too soon. He took his wife and daughters hunting and what stories they could tell. Bobby called everyone his “Angel” starting with Angel # 1, his loving wife Georgia. Bobby loved Georgia more than anything else in the world. He married her 3 times and recently said he would marry her again and do it all over again. He loved with everything he had and was never afraid to say “I love you”, as Bobby would put it, “I love you more”. A special “We love you and thank you “to Tracey Pipitone for her love, compassion and guidance during many dark days. She was truly one of Bobby’s Angels. To the many doctors that went above and beyond to give Bobby back his health, words cannot express our gratitude and love. Those honored to serve as casket bearers during Friday's services are Cliff Underwood, Howard Brewer, Brandon Lakey, Jeff Van Horn, James Van Horn, Robert Alwell, Kevin Wiley, and Kenny Abbs. Honorary pallbearers are Lance Lakey, Troy Pippin, Landon Lasley, and The Flower Shop Family.